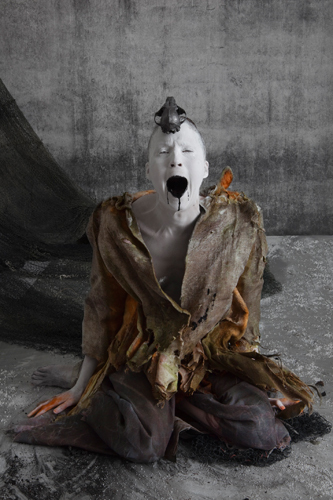 The performance GODAI- How to be invisible is a cyclic process during four evenings in November 2013. Four completely different performances, linked to a bicycle. According to the Japanese philosophy, the world is created from Godai – the five elements: fire, air, water, earth and emptiness. The fifth element is invisible but is involved in the entire cycle. The fifth element is the premise of being able to send out a movement and also to bring the movement back – to get it to return. The performances can be seen as a continuation of each other or completely independent. Last, you could see Frauke in video work How to be invisible at Göteborgs Konsthall in the exhibition Love Explosion. Support City of Gothenburg, the Swedish Arts Council, Hey, It’s Enrico Pallazzo!